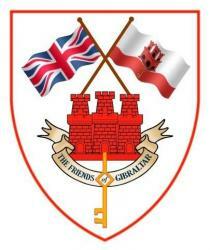 Information on how to join the Friends of Gibraltar is provided on this page. We would recommend that you download the Application Form and follow the instructions contained therein, but please feel free to contact the Membership Secretary if you have any questions. Please also note we have family memberships, plus free life memberships for the over 80s. Contact Richard Lord for details. The Application form can be downloaded as a PDF file by using the following link. The link will ask you to open or download the file. If you choose to open the file directly, it should appear automatically in Adobe Reader. If you choose to save the file, you can select where to save a copy for future use. The download may take a moment or two; please be patient. A map of the current distribution of members throughout the United Kingdom is attached here Geographic distribution of members. This is provided for information purposes, and is correct as in 2016. In case of any queries, the Membership Secretary can be reached via Gibraltar House, 150 Strand, London, WC2R 1JA, telephone number+44 207 836 0777, or e-mail info@gibraltar.gov.gi. Please allow a few days for an electronic response, if this is your preferred means of communication. You are reminded that if you have made a Gift Aid declaration but no longer pay enough UK tax to allow us to claim on the Revenue, you must please inform our Membership Secretary Richard Lord — at richard.lord2@btinternet.com, or by post to 150 Strand, London, WC2R 1JA. Please also remember to tell him of any new address, e-address or telephone number. The Membership Secretary now has Members’ silk ties for sale. 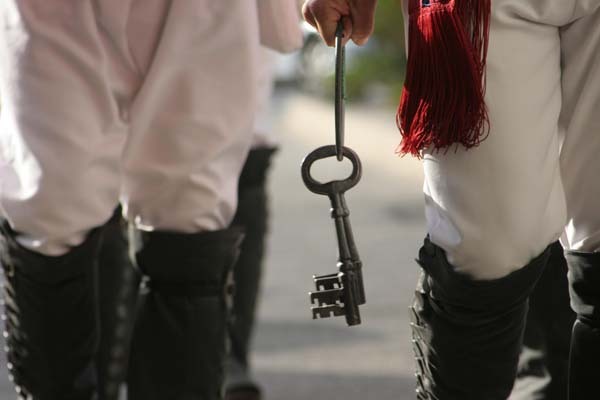 They are in broad stripes of Navy blue and Light Infantry green, with a castle-and-key motif on the blue stripes. Please place orders with with Richard Lord at richard.lord2@btinternet.com.